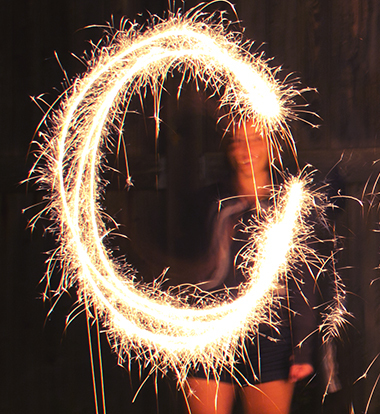 Right about now you’re probably planning out your New Year’s Eve celebration. Luckily December 31 lands on a Saturday this year, so instead of cramming all of your fun in after work hours, you can spend the whole day enjoying Center City as you say goodbye to the old and hello to the new year. There’s no reason to wait until January 1 to start your New Year’s Resolutions. Try kicking 2016 to the curb with a good workout. The Yoga Mat is offering two morning classes to help you stretch your mind and body—a great way to set your intentions for 2017. Or cross “creative cardio” off this year’s fitness to-do list with a visit to The Rinks for a few laps around the ice. Stop on in the Anaheim Packing House for a good time this NYE. For a little outdoor fun, grab the gang and find a place to play at Farmer’s Park. Adjacent to the Anaheim Packing District, this family-friendly space is has some comfy spots perfect for picnicking, Bocce ball courts up for grabs, and grassy areas ideal daydreaming about the year to come. 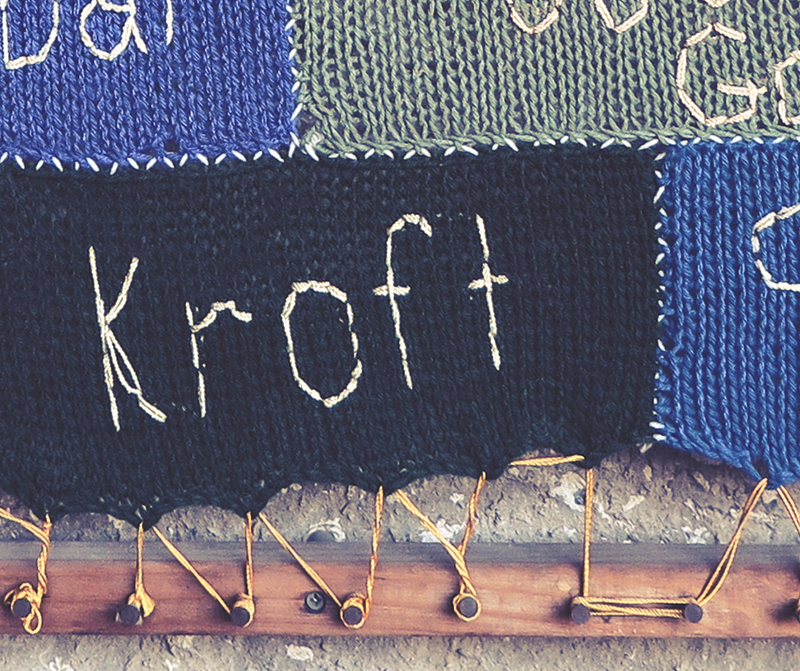 The Kroft cafe in the Anaheim Packing House. 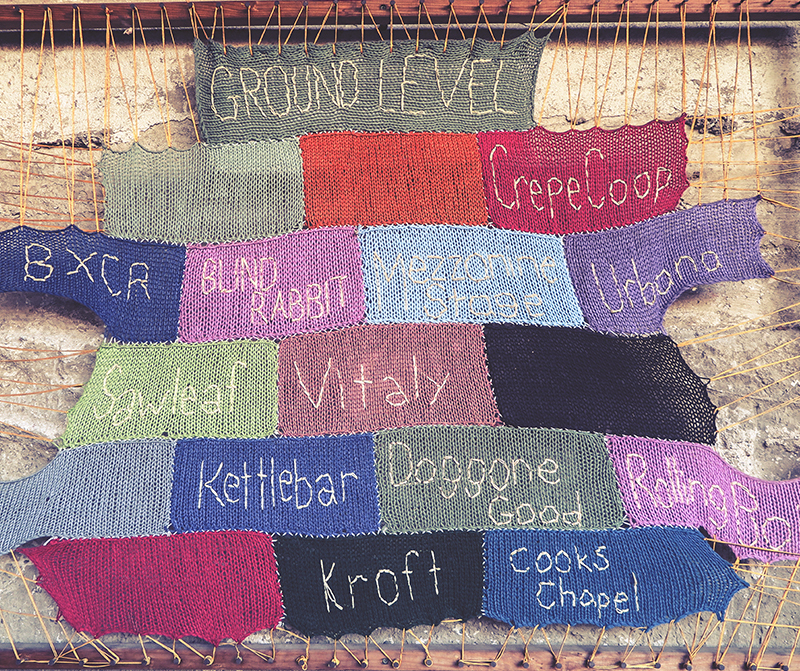 If your stomach starts rumbling, there’re a few great stops to get your pre-game going. Head into inside the Anaheim Packing District and browse over 20 artisan eateries to find the perfect stop to fuel up for the evening festivities. To get you in the celebratory spirit, head over to the Mezzanine Stage between noon and 2pm where Swingergy will be performing live jazz. 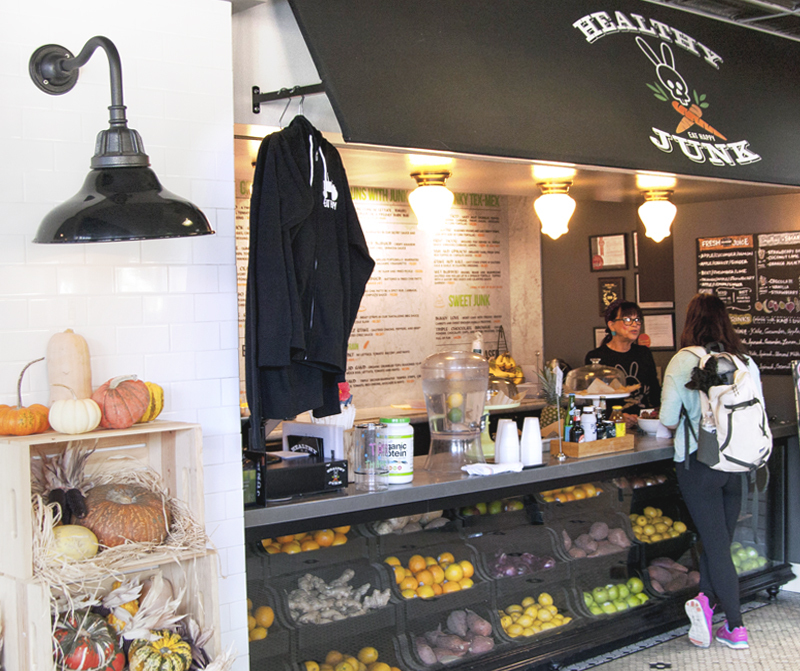 Get your daily dose of fruits and veggies at Healthy Junk in Center City Anaheim. For those who prefer to start the New Year’s countdown with a clean conscience, try Healthy Junk to curb your cravings. Stop in for lunch or a pre-celebration snack (they’ll be closing early on December 31). Or if you prefer to sip something festive and fill your belly with some tasty bites, pop by Gypsy Den Café + Bar during their daily Happy Hour from 3pm – 6pm. 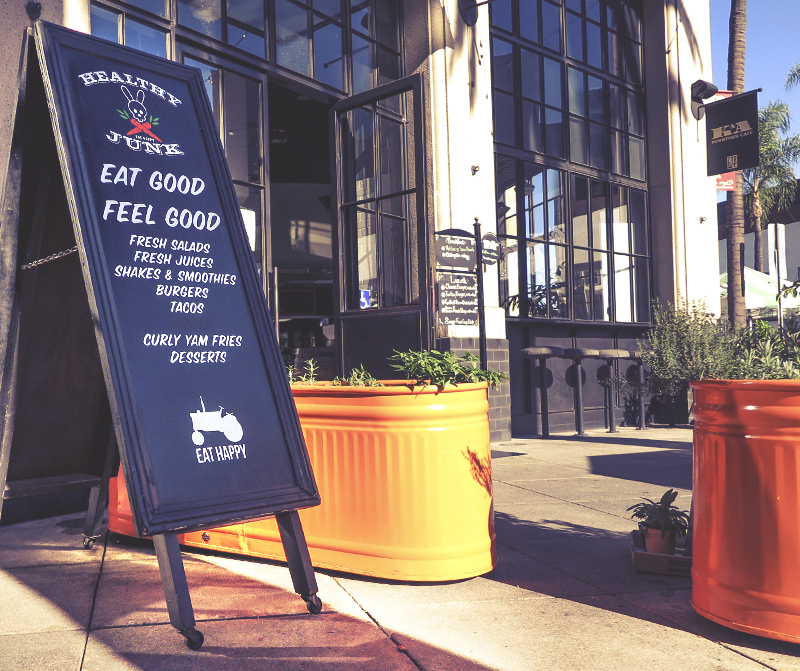 “Eat Good, Feel Good.” At yours truly – the Healthy Junk cafe in Center City Anaheim. For college football fans, Saturday December 31 is more than just the end of the year countdown. It’s also a day to watch two bowl games. With 15 TVs, all day happy hour drink specials, and a menu filled with your favorites, Primo Sports Bar could be the place you start, and possibly even end, your New Year’s celebration. Note: Primo Sports Bar & Grill has since officially closed down as of January 2017. 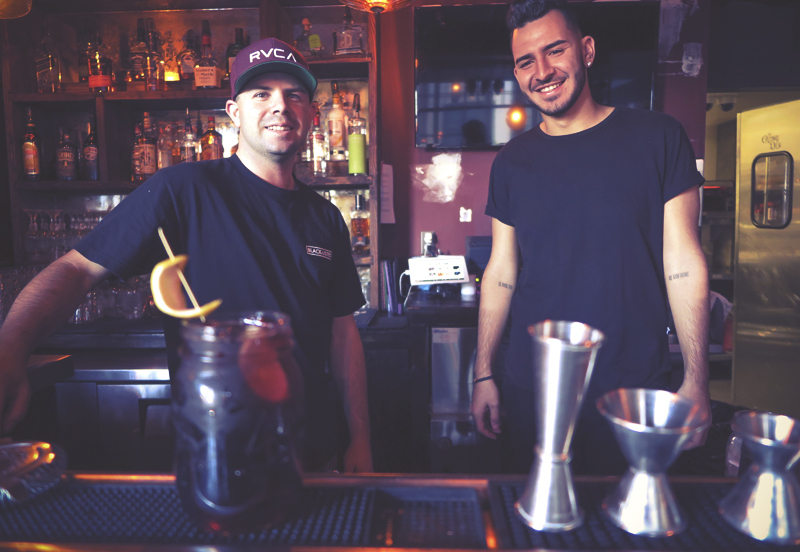 Grab a cocktail at the Gypsy Den this NYE. For families looking for one last hurrah to close out the year, or anyone wanting to send 2016 off with a bang, find a spot at Farmer’s Park or atop the parking structure near The Rinks around 8:45pm. At 9:00pm the Disneyland New Year’s Eve fireworks will light up the night sky—creating the perfect backdrop for making a wish or stealing a New Year’s Eve kiss.